This bourbon brought a few firsts to the bourbons we have tasted: is the first bourbon that we have reviewed from New York, and the first bourbon whose Master Distiller is a woman! 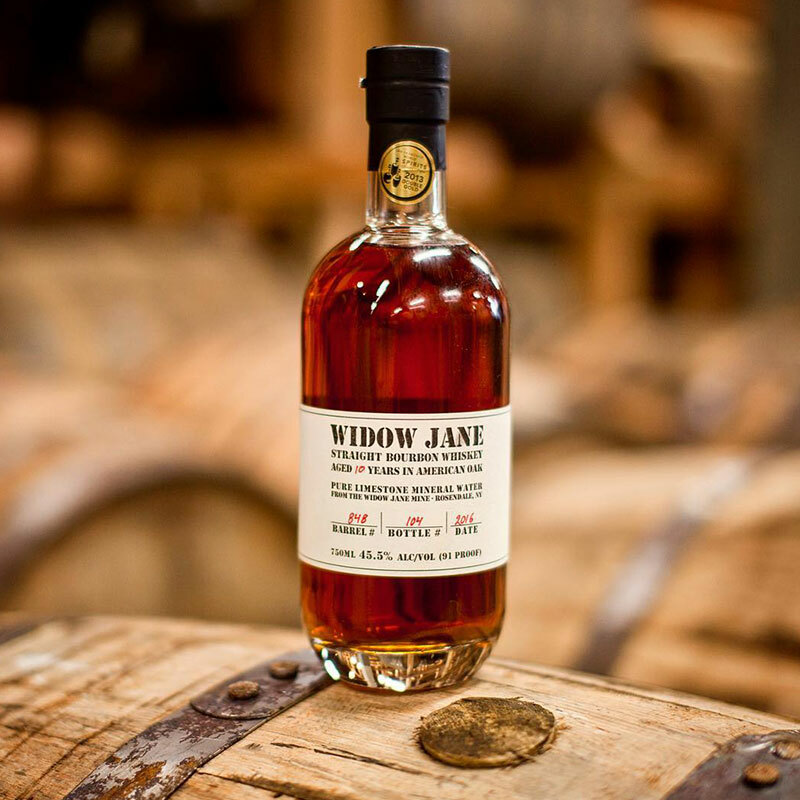 Widow Jane is actually distilled and barreled in Kentucky, but sent to New York to finish its aging process in barrel. Based on what we have read, the distillery may go to producing and barreling their own whiskey in house in the future, and are even going so far as to raise their own 100% GMO free grains for their mash bill. For you bourbon geeks, Widow Jane is made from a mash bill of 75% corn, 21% rye, and 4% malted barley. For the uninitiated, the mash bill is one of the sources influencers of bourbon flavor. I tried this at Mac McGees Irish Pub in Decatur, Georgia – a GREAT bar with more than 500 whiskeys and traditional Irish fare. The price tag was about $14. “This better be a damned good bourbon at that price!” I commented. I really wanted to like this bourbon. Particularly because for a few bucks more I could’ve gotten an OF Birthday. The nose was unassuming, belying a light bodied whiskey. Not a problem typically, but the first sip was almost equally unassuming. There is zero initial burn with a rye tingle mid way thought. Some big cherry, orange, and red licorice flavors brought character to the whiskey mid way through, but those flavors were buried beneath butter. It took a few sips more before I found clove and a hint of pine wood. The finish was like gravel wrapped in velvet. Had it not been for the rough finish I would have been in good shape, but any true bourbon fan looks forward to the finish as much as they do to the first sip. When a finish isnt pleasant, it dampens the entire tasting. And this finish was not pleasant. Big price tag, small body, ragged finish. This isn’t a bourbon that stands up to the price tag. I give it a C.
I love what Cacao Prieto Distillery is doing, but they aren’t quite there yet. Smooth out that finish and bring some body to the mash and I think you would have a winner. Learn how we grade bourbons. You can also click the stars below to rate this bourbon yourself!